Over this article you will be checking out on how to update Asus Nexus 7 with Official Jellybean 4.2.1 based firmware which is bought in by the Cyanogen Mod team in the form of CM 10.1. If you want to apply this firmware in your device then you should root your device. Please be informed that once you root your device the warranty of your device may get void. But you can reclaim the same by applying the official and stock firmware. It is always advisable to be on a safer side before you start to try anything new on your device. So, we strongly advice you to take backup of all your internal datas such as SMS, MMS, Contacts etc. with the help of backup applications. Just in case, if you lost your data due to any reason after updating the firmware, you could easily recover them. Then finally enable the USB Debugging option by following the path Settings>Applications>Development>USB Debugging. DISCLAIMER : Best android blog would not held responsible/liable for any damages takes to your device by following this procedure. So, do everything at your own risk. 1. First download the Jellybean 4.2 Cyanogen Mod 10.1 firmware package and Google apps package from here to your computer. 2. So, once you downloaded connect your Asus Nexus 7 to the computer via USB cable and place the two downloaded files in your device. 3. Then Disconnect the device and download the ROM Manager app from the Google Play Store or from some where. 4. In the ROM Manager app, you need to select “Reboot in Recovery Mode” so that your device will enter into the Recovery mode. It will take just one or two minutes to enter. NOTE : In ROM Manager app, just in case, if you select the Backup option instead to select “Reboot in Recovery Mode” your device will brick completely. So, take care while you try to enter into the Recovery mode. 5. Once your device boots into the recovery mode, select the “Wipe cache data” and “Wipe Data”. 6. Once the data is wiped, select the option of “install zip from SD Card” after which all you need to do is to select the CM 10 Jellybean 4.2 Firmware Package along with Google Apps Package. 7. Once you select the package within 5 minutes the update will applied. 8. Once the update is finished select “Go Back”> “reboot system now” for rebooting the device in the normal mode. 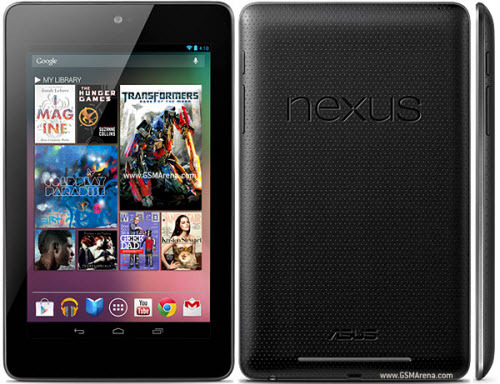 That’s it your ASUS Nexus 7 device will now have CM 10.1 based firmware. Enjoy!